We uncover the fledgling development hub forming in southern Europe. Something unexpected is going on in the distinct land of Malta. Despite being a home to just 450,000 inhabitants the island nation is proving that it can play host to an up-and-coming game development hub. Five hundred game makers are currently plying their trade in the Mediterranean country, and by the end of the year 20 game studios will already be operating there, proving a populace comparable to a mid-sized European town can very much contribute to the global games industry. 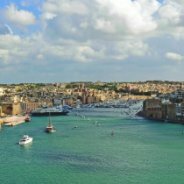 Malta may not be poised to become the next Canada, but it is set to punch above its weight and establish itself as an attractive place to set up a games studio. So how has Malta built up a blossoming hub surrounded by the Mediterranean sea? The answer to that does have something to do with Malta’s universal benefits, and the very thing that attracts scores of holiday makers to the country every year. “It’s a beautiful country,” offers Nick Porsche, founder of Dorado Online Games, who came to the country after working with Big Point just over three years ago. “There’s a good work-life balance here. It’s inexpensive, English-speaking, and there’s pretty much blue skies all year round. In fact, it’s almost bathing weather most of the time. It’s the Mediterranean dream really. My family never really...read on."